Office Hours Day Morning Afternoon We recently became a provider for the MultiPlan Network, and would like to be nominated in the BeechStreet Network. CALL 586-286-1100 TODAY FOR YOUR APPOINTMENT AND COMPLIMENTARY CONSULTATION. CALL 586-286-1100 TODAY FOR YOUR APPOINTMENT AND COMPLIMENTARY CONSULTATION. We accept MultiPlan Network, and would like to be nominated in the BeechStreet Network. We also accept insurances with the Affordable Care Act and the Market Place. 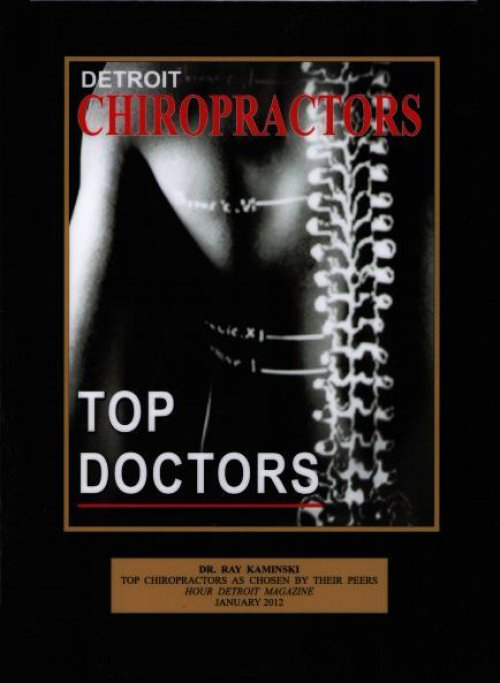 Dr. Ray Kaminski Clinton Township Chiropractor also serving the Clinton Township and the surrounding community in Macomb County including Harrison, Macomb, Shelby Township, Mount (Mt.) Clemens, Auburn Rochester Hills, Washington, New Baltimore, Chesterfield, Harrison Township, Utica and Sterling Heights Michigan. 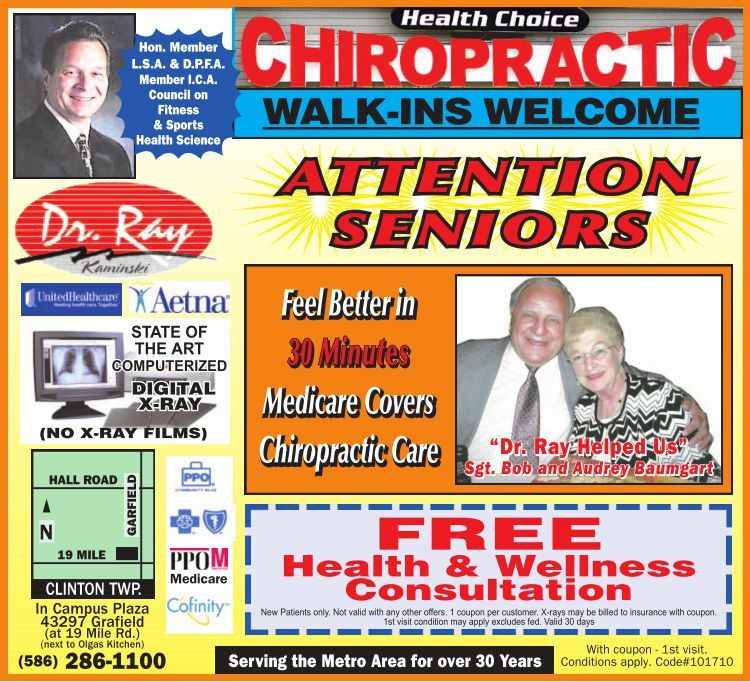 Schedule hours for Health Choice Chiropractic are Monday, Wednesday, Friday and Saturday, Tuesday, Thursday and Sunday by appointment, Call today 586-286-1100 for chiro care and your complimentary consultation. We recently was accepted into the MultiPlan Network and would like to be nomination in the BeechStreet Network.